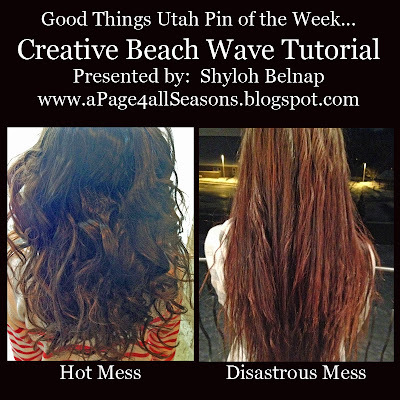 Shyloh Belnap: GTU Pin of the Week... Beach Waves Tutorials... FAIL!!!!??? 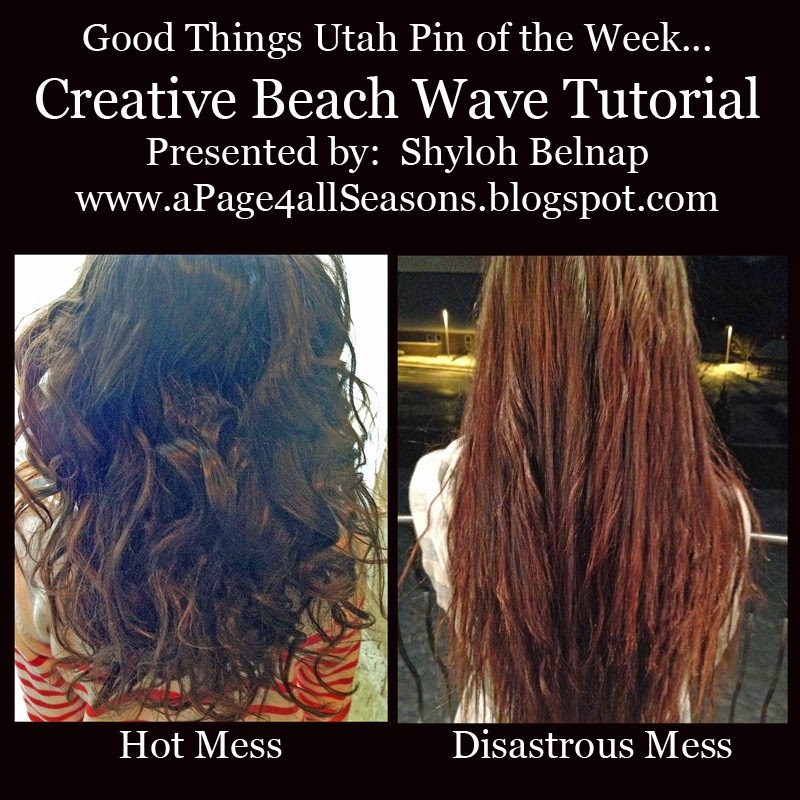 GTU Pin of the Week... Beach Waves Tutorials... FAIL!!!!??? This week, I decided to try to very creative tutorials that I saw on Pinterest. 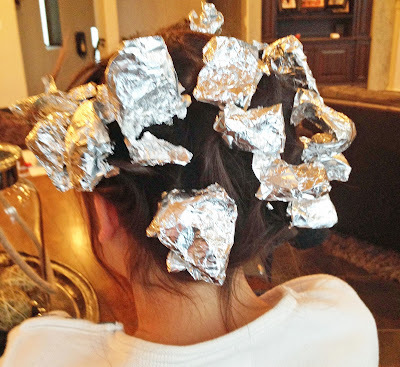 The first one is the TIN FOIL BEACH WAVES. 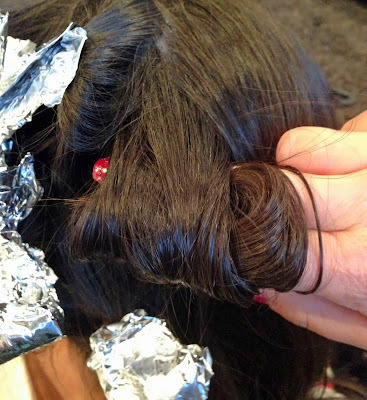 Slightly dampen your hair with heat spray and roll it up to your head with your finger. 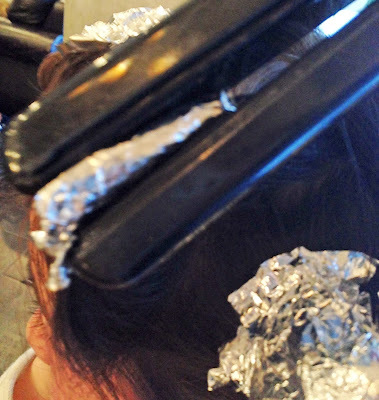 Pin the hair to the top with tin foil. Press each tin foil flat with a flat iron. Let cool down and take out of tin foil. Spritz with hairspray and pomade for control! My evaluation: This turned out looking like a hot mess when I did the process but I really think with some practice it could look really good! 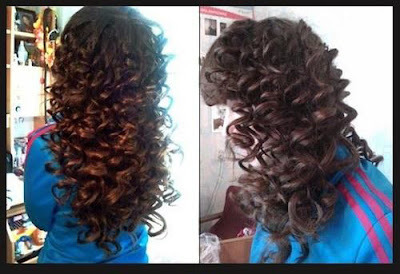 I think the mess was due to the fact that I did not put each individual curl in evenly. It did take me 45 minutes to do Ashley’s hair and in the same amount of time I think I could have curled it perfectly. The pin said to split your hair into 2 sections and braid it. We tried that and NOTHING happened. 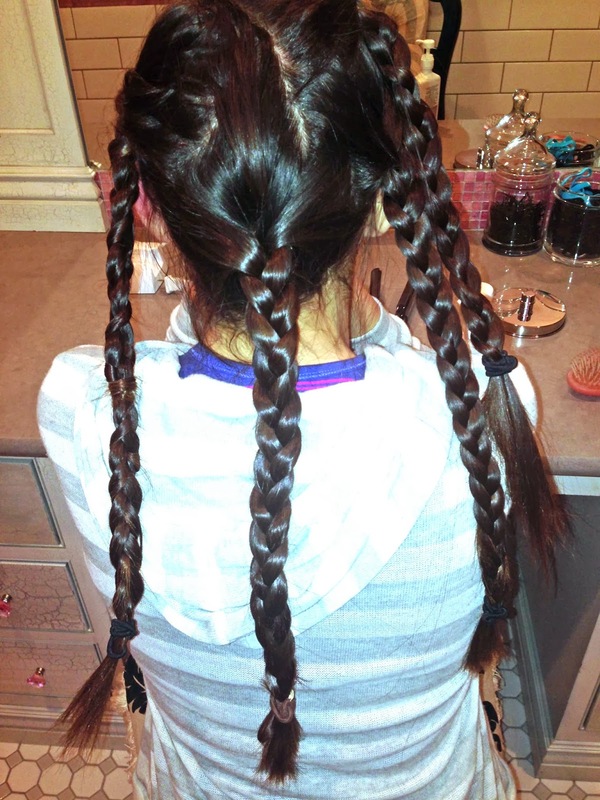 To give the pin the benefit of the doubt, we actually put Kayla's hair in several braids. 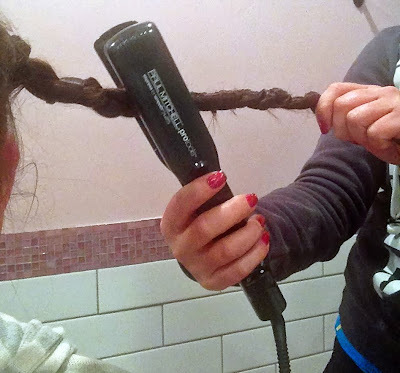 Twist the braids away from your face. 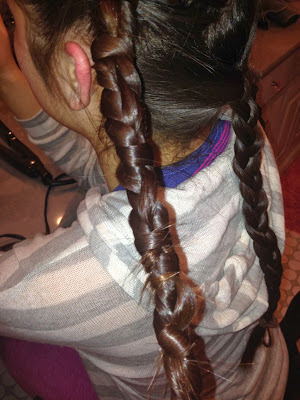 Flat iron each twisted braid, let cool, take out. 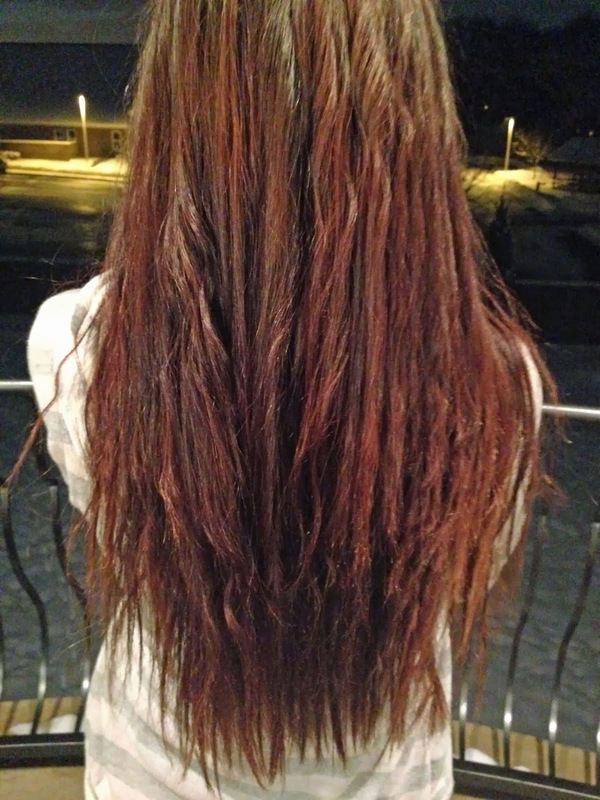 Evaluation: Kayla has REALLY thick hair so maybe it didn’t work for us because she had so much hair. But, for us this was a disaster. 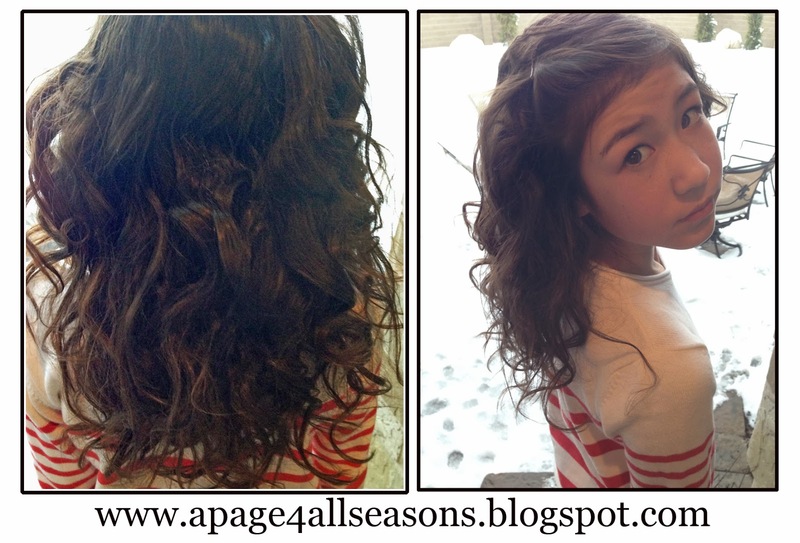 It fried her hair and it did not evenly wave her hair at all! It just made her hair wavy in small sections and straight (and fried) everywhere else! She wasn't real happy with me :( I did look at Pinterest further to see if there were any other tutorials for this hair and all I could find was someone else who had tried this and she said it also did not work for her. 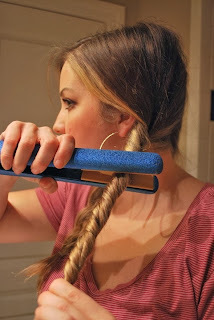 She also mentioned the stress it puts your hair under to flat iron it while it is twisted so tight. Oops!